Manuafcturer & Supplier of Pilot Operated Solenoid Valve S-180. We are stockists and suppliers of Solenoid Controlled Pilot Operated Directional Valve. 1. 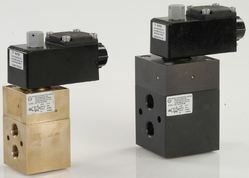 Solenoid valves. . . Counted as one of the prominent organizations, we are involved in offering a wide range of Pilot Operated Solenoid Valves. These are available with us in various dimensions and thickness as per the precise demands of clients. Our valves are acclaimed for their dimensional accuracy, robustness and high functional efficiency. 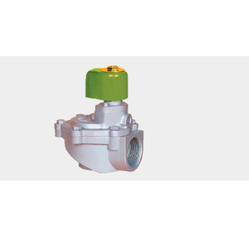 Type: 2 port valve N.C.